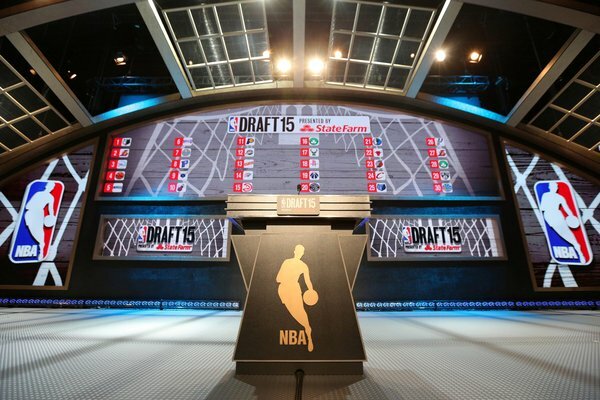 The 2016 NBA Draft is less than a week away, as the top college prospects in the nation will gather on June 23rd to find out where they will continue their careers in the NBA. Although many consider this draft class as fairly weak, there is a solid chance to find excellent pieces towards the end of the First Round. Including our Atlanta Hawks, who currently own the 21st overall pick, who is looking for a prospect in a huge off-season for the organization. The majority of the Hawks’ roster last season were veteran players. Paul Millsap and Kyle Korver came in having over a decade of experience in the NBA, Al Horford just turned 30, and Jeff Teague finished up his 7th season. Speculation loomed the Hawks, especially in terms of the draft. The previous NBA drafts haven’t fared well for Atlanta, as the team continued to prosper while lacking young talent to build around in the future. However, the Hawks’ front office have a few key pieces that head coach Mike Budenholzer should consider building the team around starting this Summer. Dennis Schroeder (22 years old), Tim Hardaway Jr (24 years old), and Kent Bazemore (26 years old), all are solid core players; however, Atlanta is still in need of at least one or a couple of players to develop a potentially great young core which will be a focal point for the Hawks on Thursday. Here, we’ll look at five potential draft picks that Atlanta could and should consider with their 21st selection. Taurean Prince was a four year player at Baylor, and leaped high into NBA team’s draft boards during his senior season. Prince is a solid 6’8″ 220 lbs, with a 6’11.5″ wingspan and a standing reach over eight feet. This gives Prince the prototype body for an NBA wing, and has a versatile skill-set to compliment his size and length. Prince fits the role of a prototypical 3&D player, meaning stretching the floor with the three point shot and locking down the perimeter on defense. Prince shot (37.2%) from three in his career at Baylor, and can get his shot up in a variety of ways. Pulling up off the dribble, being able to catch and shoot coming off screens; Prince can do both. His long wingspan gives him an advantage in terms of being able to get his shot up over a defender. Prince can also slash to the rim and post up down low, the guy can do just about everything. Jones is certainly a high risk high reward prospect. The big man was known for greatly underachieving in his time with Vanderbilt, but he is also the most NBA-ready prospect out of any center in this draft class. Damion comes in with nearly perfect size for a young center, 6’11” and 245 lbs. He is extremely nimble in terms of his footwork and movement on the floor, and has explosive and bouncy leaping ability; making him deadly as a presence down low and as a rim protector. Jones also bring fairly decent scoring around the rim, and a good face up game. Jones also has a decent mid range jumper that gives him one of the more complete skill-sets among the big men prospects in this draft. There’s just a few things that you should be concerned about if your selection is drafting Jones; as I mentioned above, he highly underachieved in college. Jones has the size and the skill, but people wonder why this guy did not dominate in college like he should have. A player of that size should have been putting up way better numbers than (14) points and (7) rebounds per game. The simple way to put it, Jones lacks motor and more importantly lacks instincts. When you lack the instinct to take over games and lack the motor to produce when you’re needed to, you’re just zoning yourself out of games. When you’re zoning yourself out, you get to the league and all of a sudden you’re not close to prepared for when you get your chance to play. You wonder why some highly touted prospects make it and others don’t, that’s why. If the Hawks end up losing Al Horford in Free Agency, a center is going to become an immediate need. Taking a chance with this guy may end up being what Atlanta needs. Before I explain my point, I know what most Hawks fans will think. He’s 5’9″, he’s small, we already have that kind of point guard with Dennis Schroeder. I understand that, here’s my perspective on Ulis. If the Hawks end up trading Jeff Teague, Dennis will likely become the starter. Now the Hawks need a backup point guard. Now, if you hear Tyler Ulis’ name and immediately think “He’s too small to make it in the NBA”, you seriously need to go back and watch this guy play. To begin,Ulis solid numbers and statistics just leap through the roof. You’re talking about averaging (17) points and 7 assists per game this season, you’re talking about an assist/turnover ratio of 3.5/1. You’re talking about a 27 point-12 assist game against South Carolina in which his coach was kicked out of the game. You’re talking about averaging 25 points per game in the SEC tournament, including the SEC Championship where he took over and dropped 30. One unique thing about Ulis, the man simply knows how to play the game. He rarely, I mean RARELY, makes a bad decision. This is a guy who has defied the odds his whole life. He plays fearlessly, he plays for his teammates, and he plays to win. If developed and used correctly, Ulis is a starting point guard in the NBA, and is somebody the Hawks could desperately need in the future. Being the Kentucky fan I am, I’ve watched Ulis since high school. I’ve seen him become the All American he became, and I know this. You won’t find a better point guard in this draft, or at this stage in any other draft. Malachi Richardson is one of the most underrated prospects in this draft class. He played at Syracuse as one of the top freshman in the country, leading the 10th-seed Orange all the way to the Final Four. Including his performance in the Elite Eight against Virginia, the nation’s best defensive team at the time, where he put up over 20 points in the second half to lead the Orange to a 20 point comeback victory. So what does Malachi bring to the table? He has ideal size for a shooting guard, 6’6″ 200 lbs, but can play the three as well. A strong upper body allows him to bully his way through contact and finish at the rim even when contested. On the perimeter, Richardson has an excellent catch and shoot game. He also has a wingspan of seven feet, which allows him to contest shots. Malachi could fill out that 3&D spot on the perimeter with a consistent jumper, but with the tendency to attack the rim that he shows, it feels like he can bring much more on the court. Richardson is talented, a good leader, and is someone you cannot afford to sleep on this year. Simply put, the kid has game. Remember Thon Maker? That guy who broke the Internet two or three years ago with insane highlight reels? Everybody swore this guy was going to be the next Kevin Garnett or Kevin Durant. Well, that guy finally has his name in the NBA draft. Given the amount of mystery that surrounds him, Maker could very possibly be there at 21. Thon has point guard talent in a seven-foot body. He can take you off the dribble, cross you up, and finish at the rim. He takes a lot of jumpers as well, particularly three point shots. Maker can certainly hit them, but needs better consistency. Thon fits the mold of a perfect international prospect, whether his game will translate is the question. Maker will likely play the four in the NBA, which his size is the main concern there. Yeah he is seven-foot, he also only weighs in at 215 lbs. Surely he could get bigger, but still a player like Anthony Davis is going to own that matchup completely. My main question with Thon has always been, what is an NBA team going to do with him? Maker is a player who certainly needs the ball in his hands. Can you develop him into an off-ball scorer? This guy handles the ball well, but this isn’t high school. If he is drafted to a team that already has a quality point guard, which a majority of teams do, how will he handle not being able to do what he’s most comfortable with right away? Maker is an intriguing prospect, while still just a complete mystery. The chances of a lottery team taking a chance with him while there is still so much uncertainty is simply unlikely. However, if Thon is still there at 21, he is certainly someone Atlanta should consider. The talent is there, and given how good Mike Budenholzer is with player development, the Hawks could wind up making Thon Maker a quality NBA player.